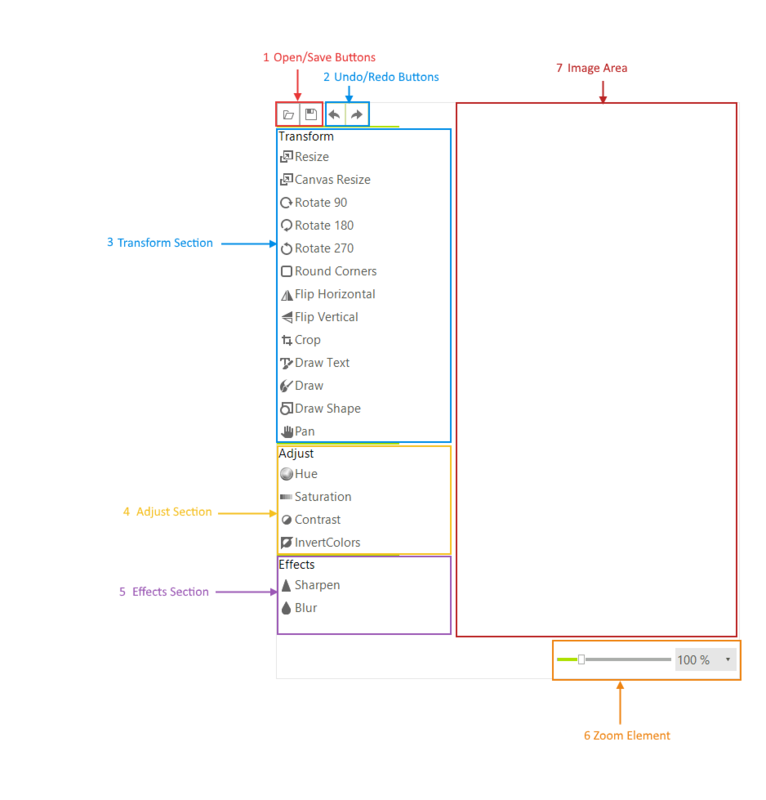 This article shows the ImageEditor structure and elements hierarchy. Open/Save buttons: These buttons allows you to open an existing image and save the current changes. Undo/Redo buttons: Use these buttons to undo/redo a specific action. Transform section: The buttons in this section allows you to transform or add content to the image. Adjust section: This section allows you to change the colors in the image. Effects section: This section allows you to add some effects. Zoom Element: You can zoom with this control. Image Area: This area shows the image along with any applied changes. 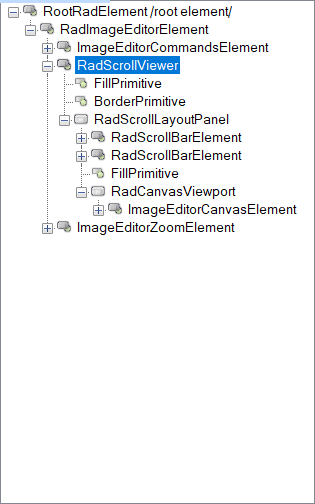 Figure 2: RadImageEditor elements hierarchy.